The National Park is noted for its rugged beauty and breathtaking scenery. 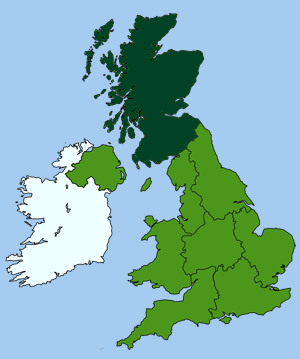 The area covers a wide diversity of landscapes, from high peaks to freshwater lakes and seawater lochs. Whatever your age there are activities to suit everyone, from cycling, walking and riding to wildlife watching, sailing and climbing. 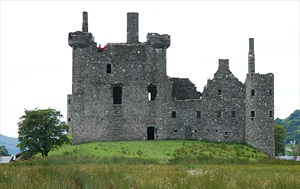 Built during the mid 15th-c this magnificent castle was once the stronghold of the powerful Glenorchy Campbells. With its strategic position on the northeastern end of Loch Awe, it was a symbol of the clan's great strength and a base from which to launch a blood soaked quest for more territory. Back in the 16th-c this are was home to the European Beaver, which has been extinct for over 400 years. In medieval times beavers were hunted for their fur and meat and also for medicinal purposes. The government was recently granted a licence for the Scottish wildlife trust to carry out a reintroduction of the beaver, which can now be seen around the tranquil lochs of Barnluasgan, Coille-Bharr and Dubh. 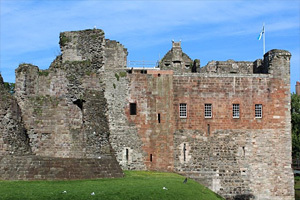 The ruins of Rothesay's 800 year old castle has withstood centuries of conflict. It is now a Scheduled Ancient Monument. It has been invaded over the centuries by many people from the Norwegians to the English and the Cromwellians, who took over the castle but it fell into ruin after the civil war ended. Later it was restored by the 3rd Marquess of Bute but was never finished.